CIO Quick Takes: What does innovation look like? Everyone talks about innovation, but quantifying it can be a bit, well, fuzzy. 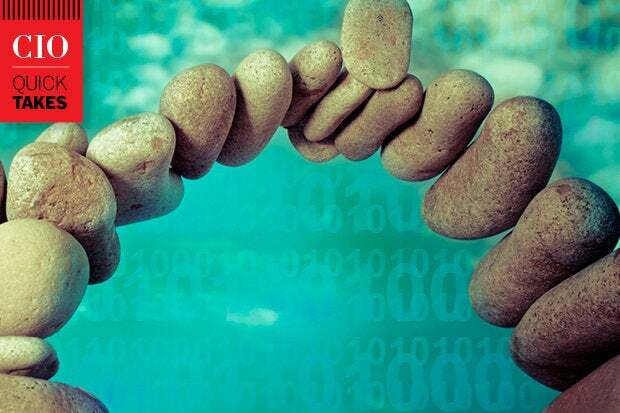 Here three CIOs put innovation into more concrete terms. 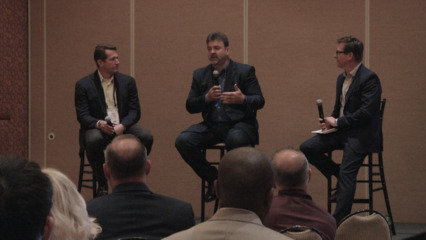 The theme for the CIO event was "Customers in control: The race to innovate." It's not just a catchy line. The race to innovate is being run everyday in every industry, and IT leaders are driving transformations where winning is the only option. This installment of CIO Quick Takes continues with that theme. We asked three CIOs this question: What has been your biggest innovation in the past six months? While the answers varied in the specifics of the projects, of course, there's no mistaking the common denominator. Below you'll read about how a wine-maker is improving engagement with its distributor's sales reps by adding collaboration and gamification to its mobile app. You'll learn how a pharmaceutical company launched a new webinar platform and information portal that lets it medical experts engage virtually with healthcare providers. And, finally, you'll discover how a company that operates food and beverage concessions in major airports in North America increased sales by developing an app that provides business critical information for its internal mobile workforce. Sanjay Shringarpure – CIO, E. & J. Gallo Winery. What has been your biggest innovation in the past six months? "In the past six months, we have been focused on leveraging technology to drive engagement across the organization and with our partners. In the vineyards we are developing Geographical Information System capabilities to provide both our grower relations team and the growers with information they need in the vineyard. We are also focused on driving deeper engagement with our third-party distributor sales force. Matthew Lasmanis, vice president and CIO at GSK USA. "The use of digital and mobile apps for health has become commonplace among healthcare providers (HCPs) and patients. Although integration of these channels into the business model of life science and pharmaceutical firms remains limited, at GSK we have taken steps to modernize our business in line with evolving societal expectations. "As of January 1st of this year, we became the first pharmaceutical company in the world to no longer pay HCPs to speak about our products on our behalf. Instead, we have launched a new global webinar platform and information portal that enables our internal medical experts to engage virtually with HCPs at a time and place most convenient for them. This combination of business model change and digital enablement is one of a number of changes we have made on our journey to build a more innovative and sustainable pharmaceutical industry." Sarah Naqvi, executive vice president and CIO, HMSHost International. "HMSHost operates restaurants in the majority of major airports across the United States and Canada. Most of our field management employees require real-time business critical information that was previously only available through their desktops using the BI platform. Therefore, the daily routine of managers kept them away from restaurant operation locations as they remained seated behind desktops for several hours to run critical reports. "Deployment of smartphones and iPads to key field-management employees gave birth to the idea of development of an internal mobile app with dashboards showing business critical information that could service the need of a workforce that could be more productive while being mobile. The content of this app has significantly improved productivity of field management, improved engagement with operations staff, improved collaboration between employees and managers, and has enabled HMSHost to increase sales. Heatmap is a dashboard within the HMSHost app that integrates airlines traffic information, sales metrics and staffing needs. "If a terminal has slow traffic flow while another location is experiencing a flight delay, Heatmap dashboard allows management to quickly shift resources from a slow location to a high-traffic location to ensure delivery of speed of service, improve customer satisfaction and drive sales capture — all this while on the move and never running a report. Additionally the internal app includes financial dashboard, labor forecast, company policies and procedures, chat room, idea submission etc." Dan Muse is director of audience engagement for IDG's B2B sites and former editor in chief of CIO.com.